The Kawartha Komets are pleased to announce that long-time sponsor, supporter and encourager, Mary McGee, has come forward again with her sponsorship in memory of her late husband Jack McGee, founder of Jack McGee Chevrolet Cadillac. 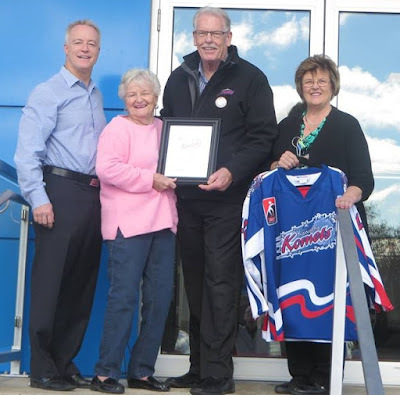 As the Komets begin our 10th season, we would like to express our gratitude to Mrs. McGee for her ongoing generosity. "Jack McGee cheered for the underdog and the Kawartha Komets is the type of team he would have supported", says his widow. That’s why Mary McGee decided to answer the special needs hockey team’s plea for a major sponsor. She has donated $10,000 in memory of Mr. McGee, founder of Jack McGee Chevrolet Cadillac, to help the fledgling team.